Of course, many boxing fans snickered at the idea of Toney, a former middleweight, being able to compete against arguably the most feared and offensively talented heavyweight in boxing history. But once you get over the seemingly apparent outrageousness of the statement, a case can be made for this mythical fight being much closer when you consider the timeframe when this bout could have happened. 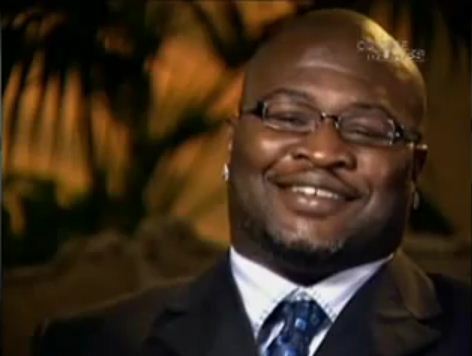 Earlier this week, James Toney stated that he wished he would’ve faced Mike Tyson at some point in his career. When asked how the fight would’ve gone, Toney boasted that the fight would have been “easy.” Of course, many boxing fans snickered at the idea of Toney, a former middleweight, being able to compete against arguably the most feared and offensively talented heavyweight in boxing history. But once you get over the seemingly apparent outrageousness of the statement, a case can be made for this mythical fight being much closer when you consider the timeframe when it could have happened. First off, let’s be clear that the James Toney who’s been at heavyweight since 2003 would be no match for the prime Mike Tyson of the mid to late 80s. Although close in height, Tyson was much more powerful physically and in regards to punching strength. He’d be able to get inside without the worry of being clinched heavily, which is the strategy every taller/bigger fighter implied against him. Toney’s excellent D would insure that some of Tyson’s bombs missed, but Iron Mike’s speed and the close quarters guarantee he’d eventually start landing heavy leather. And unfortunately for Toney, he doesn’t have a good enough punch to keep Tyson off of him. Considering Tyson only has one KO past the seventh, Toney might survive to a decision if he gets past that point. Either way, he’d still take a beating. However, James Toney’s chances of victory increase dramatically when you consider the only time these two could have faced each other is sometime between 2004 and 2005. Toney was coming off an impressive KO over a shopworn Evander Holyfield. At 217 pounds, Toney was in the best shape of his heavyweight run. On the other hand, Tyson had taken a massive beating against Lennox Lewis in June ’02. His one bout in 2003 was a one round blowout of Clifford Etienne. By 2004, Tyson was physically breaking down and mentally losing his passion for boxing. Tyson had been a pro for 15 years with a pressure style not conducive to a long career. He had back problems before the Etienne bout. He weighed 233 pounds, the second highest weight of his career, when he blew out his left knee and was subsequently knocked out in four rounds against Danny Williams in 2004. He equaled that much too high weight again in 2005 when he gassed and quit after six rounds against Kevin McBride. Toney was also having physical breakdowns at this time, but due to his use of steroids. In his September 2004 decision win over Rydell Booker, Toney suffered a bicep tear. He next fought in April 2005, having his decision win over John Ruiz annulled when post-fight tests discovered Toney had used a banned anabolic steroid. Had Toney and Tyson fought in 2004 or 2005, I’d favor Lights Out. Although both were fighting in the 230s, that weight was much more detrimental to Tyson, who burned out after just a few rounds. Toney’s chin would allow him to survive Tyson’s early blitz. After that, Toney would slowly start working Tyson over the short hooks to the body and head in close. Because Toney’s power is minimal at heavyweight, the fight would go into the later rounds. Based on how he mentally capitulated against Danny Williams and Kevin McBride around this time, it’s likely that Tyson retires on his stool. Iron Mike had diminished enough at this point where even fringe contenders were a struggle. The only thing that remained consistent was his punching power. Let’s hear your thoughts. Did a faded Mike Tyson still have enough in 2004 or 2005 to handle James Toney, or would Lights Out have closed the book on Iron Mike’s career? Really good point about Tyson post-90’s and your prediction pleasantly surprises me, specifically that Tyson might retire on the stool. His endurance didn’t permit him to carry on late round high-intensity fights at that point in his career. Also, like you said, Toney did have a great chin when he was hit, and he usually made it pretty hard for even the most precise punchers. Toney did have a good chin, but never had it belted by anyone close to the power of Tyson. I believe such a top billed fight would’ve been a last push for Tyson; he would’ve shown up lighter and ready for one final fight. He’d have retired with a win (specifically a knockout in the 4th).